Americans love their flag. I don't think there is any other country in the world that pledges allegiance to it every morning. 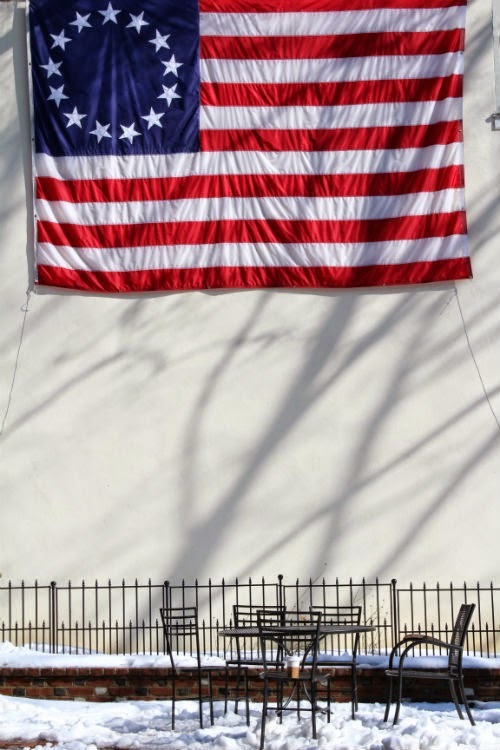 Heck, there is even a museum dedicated to its maker, Betsy Ross in historic Philadelphia. Of course I went to see it. Betsy Ross was a seamstress who married an upholsterer and mended uniforms, made tents, blankets and even cartridges for the Unionist army during the American Revolution. The story goes that Betsy Ross was asked by George Washington, the First President of the United States, to design and make the first American flag. 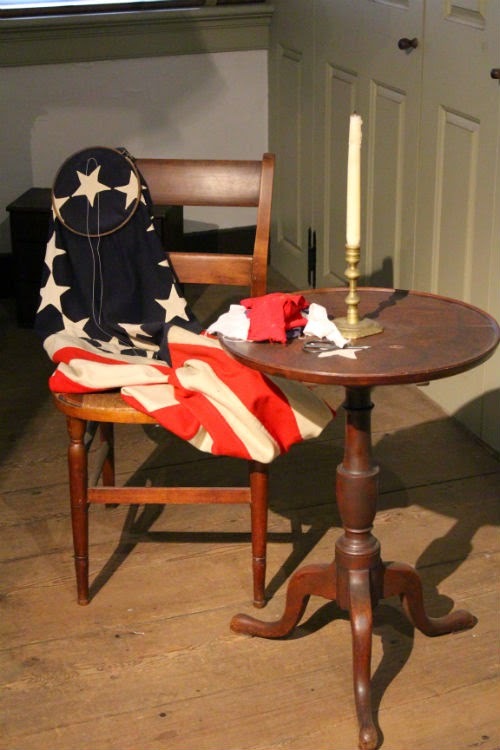 Not only does the museum show you how people lived in that time, you also learn more about the life of Betsy Ross as well as American 18th century history. 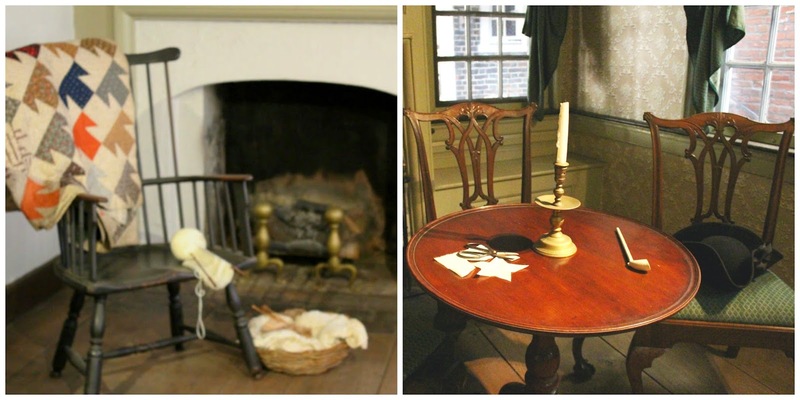 The rooms are furnished as they would have been in Betsy Ross' time and there are clear information signs in each room. The tour takes you through the ground floor and the upper floor where the bedrooms are. There is even an upholstery shop in the basement where you can interact with Betsy herself. Well, an actress and a very knowledgeable one to boot. She tells the story of how George Washington allegedly asked her to make to flag and she even shows how she came up with the pattern for the 5 pointed stars. Whether the story is true or not, the Betsy Ross Museum in Philadelphia is a truly interesting and informative place to visit. I really love going to these random places and dipping into history like that. It really gives you a visual of what life was like back in the day.